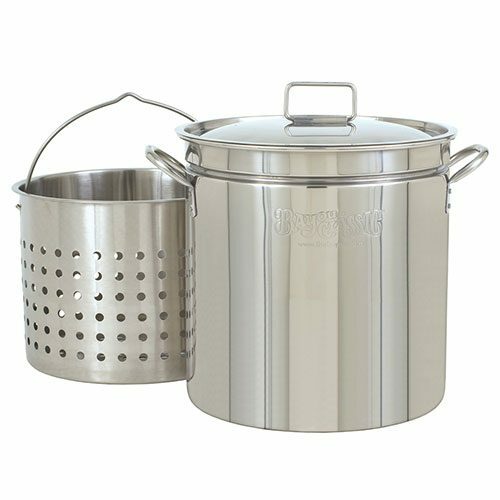 62 Quart Stainless Steel Stock Pot with Basket includes the 62 quart stainless steel stock pot, 62 quart stainless steel stock pot basket and stainless steel lid. The stainless steel stock pots are made of high gauge, restaurant quality stainless steel. This stock pot does have Bayou Classic’s steaming capabilities. The 62 quart stainless steel stock pot has an indention which holds the stock pot basket off the bottom. 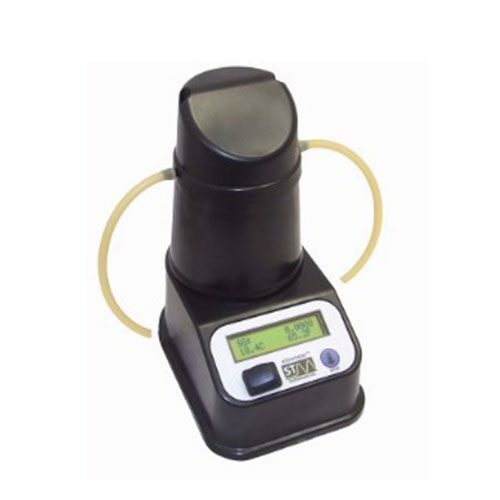 This gives you about two inches in the bottom for your liquid for perfect steaming. The 62 Quart Stainless Steel Stock Pot is the perfect addition to any cooking environment. It also features a vented lid and heavy duty riveted handles. The 62 Quart Stainless Steel Stock Pot measures 15 1/4 inches x 18 ¾ inches. The 62 quart stainless steel stock pot basket measures 14 inches by 14 5/8 inches. These pots may be used in a commercial atmosphere. The grade of the stainless steel is 304 and the gauge is 18/8 stainless steel.